Below, Ryestudios discusses the different aspects of internal vs external frame backpacks. The two backpacks he reviews are Kelty Trekker 3900 ST external frame backpack and the Kelty Red Cloud internal frame backpack. The Kelty Red Cloud internal frame backpack is a better option for colder temperature backpacking trips, and with an internal frame backpack, it fits more snug to your body, thus helping you retain body heat. Comfort is also very important when choosing a backpack and internal packs tend to be much more comfortable because they are less ridged and have more padding. The Kelty Trecker 3900 ST external frame backpack is more durable and can take a beating. While both packs can adjust up and down, the external backpack can also adjust left and right. 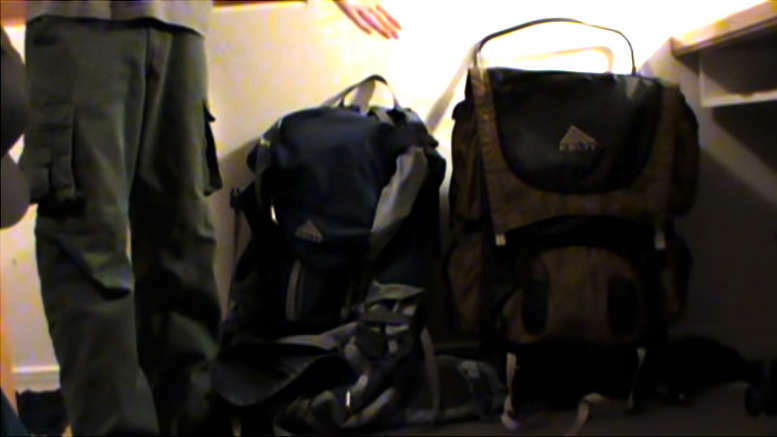 The internal backpacks seem to have more pockets, which can be good or bad depending on the backpacking gear you are bringing. The internal frames have a lot of strap options. The top part of the internal backpack can be removed to use as a day pack on some models. The external frame backpacks tend to work better for warm weather hikes as well as for longer hikes, and it’s a lot easier to keep things organized. Be the first to comment on "Internal Vs External Frame Backpacks"